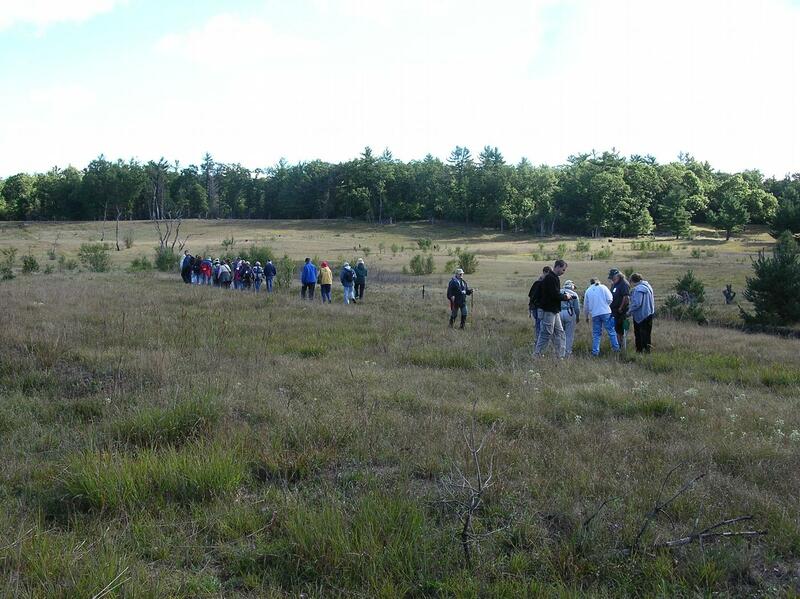 MNA purchased this 110-acre prairie sanctuary, composed of oak and pine barrens, in 1969. Prairies are one of the most endangered habitats in the state because many owners converted open acres to farmland in the 19th and 20th centuries. But the steep hillsides and sandy soils brought an early end to farming attempts here, which preserved the prairie community found today. More than 40 years of preservation and recent prescribed burning have helped keep this sanctuary similar to its original state. Despite its size, Newaygo Prairie Nature Sanctuary has no trails. However, the open landscape makes it easy for visitors to navigate and explore. The sanctuary is separated into two units, with 30 acres north of 56th Street and 80 acres to the south. Twenty-five of the northern acres are composed of prairie vegetation, while 30 acres in the southern part are an example of a dry prairie habitat. The rest of the acreage is composed of oak pine barrens. The southern bowl was last farmed in the 1800s and has recovered remarkably well. More than 100 prairie species survive here, including the porcupine grass, June grass, and Fall Witch grass. Prairie ragwort, rock spikemoss, goat’s rue, sand cherry, and prickly-pear cactus also contribute to the variety of plants. 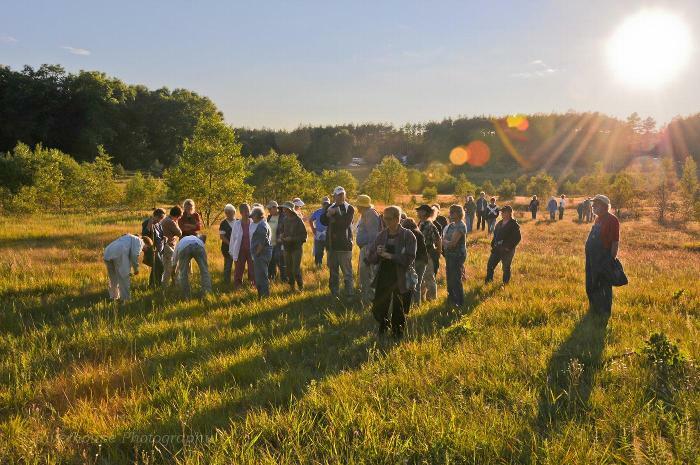 Several species of birds rely on the open habitat at Newaygo Prairie for nesting and foraging. Bluebirds and grasshopper sparrows nest in the open areas of the prairie, while eastern towhees prefer the shaded areas near the wooded edges. 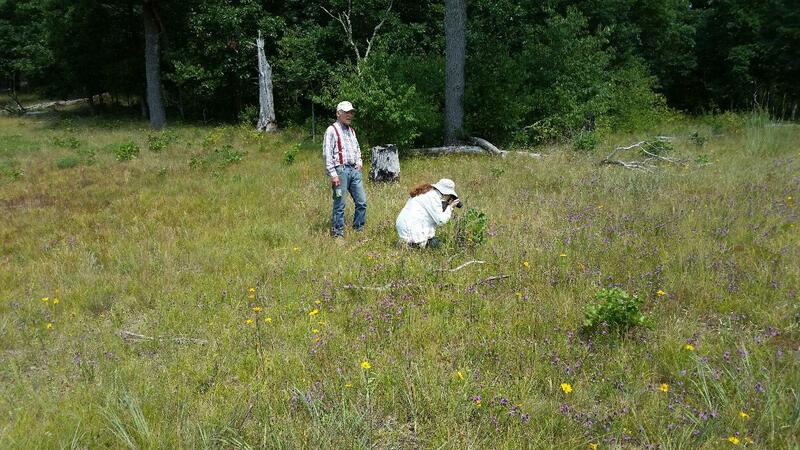 Because of the wide plant variety at Newaygo Prairie, there is no one best time to see its blooming vegetation, which remains colorful throughout the year. Late April and early May are the best times to see the early buttercups and violets, which are followed by prairie smoke, sand milkweed, and June grass, among others, in June. July and August bring the prickly pear cactus, blazing star, and several late blooming prairie plants and grasses. Fall brings the blooming of sunflowers, goldenrod, and asters. Located in Newaygo County, the sanctuary is northeast of Newaygo at the intersection of S. Poplar Avenue and E. 56th Street.